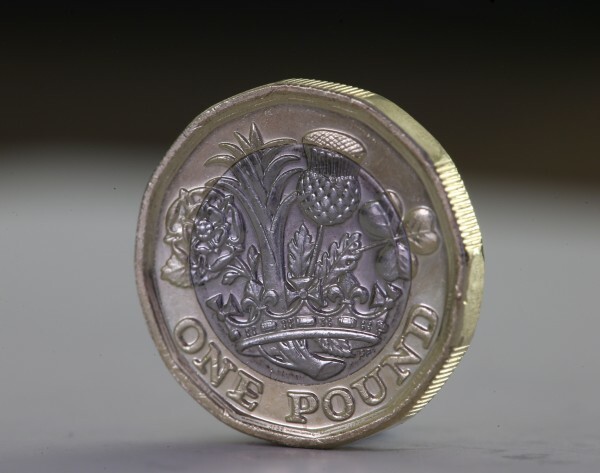 The new 12-sided £1 coin enters circulation today. Aside from looking really cool (see ya later, rounded edges!) it’s got a whole host of hi-tech features, which you can find out about on the website introducing the coin. They include milled edges, a hologram and wait, what’s this? A “hidden high security feature”? It sounds like something out of James Bond if you ask us. Seeing as this hidden high security feature is so hilariously vague, people are rushing to suggest what it could be. Some are taking the security thing pretty seriously. Discussing the new pound coin with the boy. He's decided the hidden security feature is that each coin contains a tiny police officer. For others, their first thought is obviously about Brexit. Is the “hidden security feature” in the new £1 coin the fact that it’s worth next to nothing post-Brexit decision? The more suspicious types out there think it involves some kind of chip or tracker, which is an alarming prospect. But not everyone is so paranoid – some think that the Royal Mint is just having us on. Unfortunately it looks like this “hidden security feature” won’t help in many of the early teething problems expected at coin-operated machines. Be careful next time you get the munchies and hit up the vending machine, because some will not immediately accept the new coin.